Alberti bass is a particular kind of accompaniment figure in music, often used in the Classical era, sometimes the Romantic era and sometimes in the Surf era! It was named after Domenico Alberti (1710–1740), who used it extensively, although he was not the first to use it. Alberti bass is a kind of broken chord or arpeggiated accompaniment, where the notes of the chord are presented in the order lowest, highest, middle, highest. This pattern is generally repeated in an ostinato fashion. The broken chord pattern create a smooth, sustained, flowing sound. Alberti bass is usually found in the left hand of pieces for keyboard instruments, especially the beginning of Mozart’s Piano Sonata, K 545, but, is also found in songs for other instruments, such as the iconic opening guitar part of Pipeline. 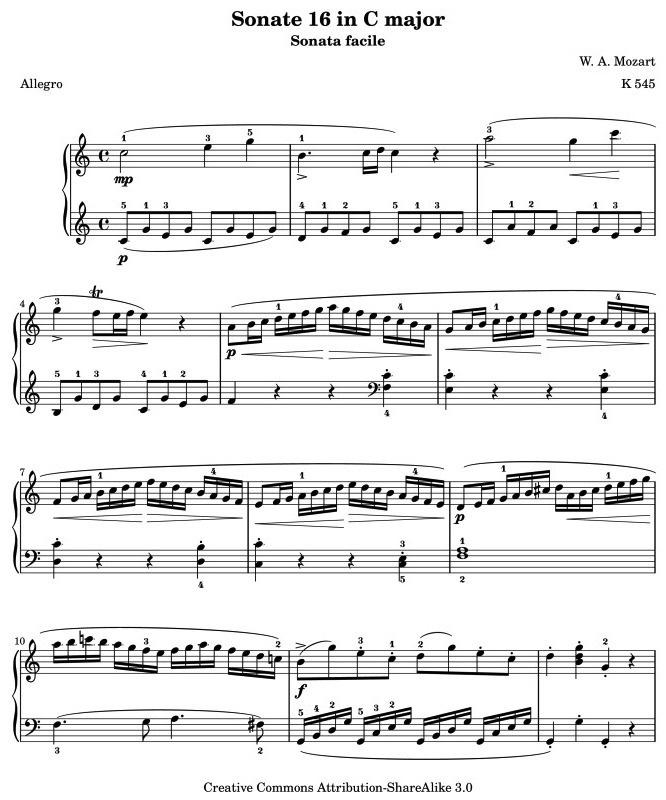 Let’s begin with the opening Allegro movement of Mozart’s Piano Sonata, K 545. It is written in sonata form in the tonic key of C major. The familiar opening theme is accompanied by an Alberti bass, played in the left hand. A bridge passage composed of scales follows, arriving at a cadence in the dominant G major, the key in which the second theme is then played. A codetta follows to conclude the exposition, then the exposition is repeated. The development starts in G minor and modulates through several keys. The recapitulation begins in the subdominant key of F major. This practice of beginning a recapitulation in the subdominant was rare at the time this sonata was written. 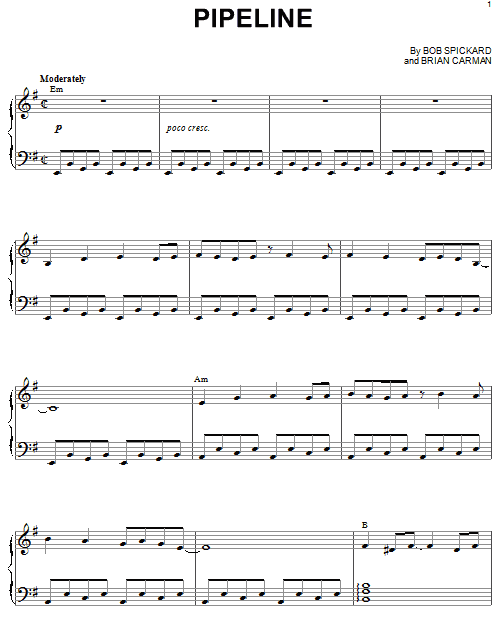 And here is the sheet music so you can follow along. Pipeline, recorded in 1962 by The Chantays, is a famous example of 20th-century American popular instrumental surf music. It is notable for using Alberti bass arpeggios in E minor. 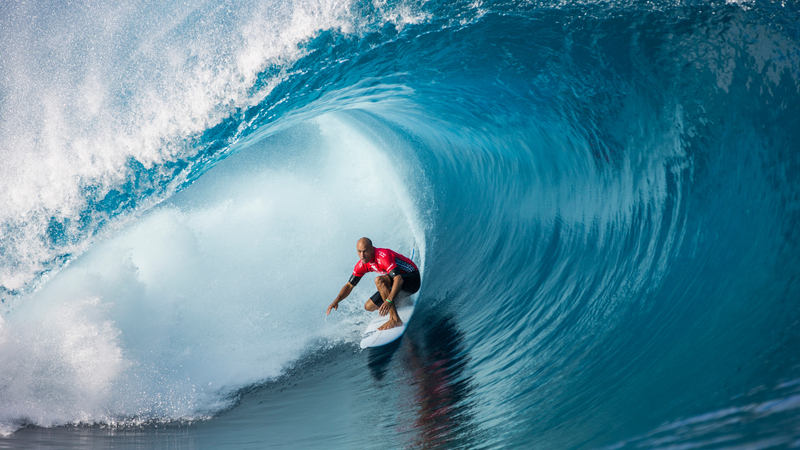 The song, originally called Liberty’s Whip, was renamed after the band members saw a surfing movie showing scenes of the Banzai Pipeline in Hawaii. The tune, fitting in with the popular surfing craze of the time, swiftly rose up the Billboard Pop charts, reaching #4, and becoming a classic hit of its time. The track’s distinctive sound was largely due to the fact that the 45-rpm was released only in monaural, but the track was recorded in wide stereo. This resulted in the bass guitar, electric piano and rhythm guitar being out front in the mix, while the lead guitar and drums were buried in the track. ’til next time, have some Alberti Bass fun Surfin’ with Mozart… I’ll be listening! A cutaway is the scooped indentation in a guitar’s upper bout adjacent to the neck which allows for easier access to the upper frets. Cutaways appear on both acoustic and electric guitars. Virtually all solid body electric guitars have at least one cutaway, or have a body shape, such as the Gibson Flying V, which does not obstruct access to the upper fretboard area. 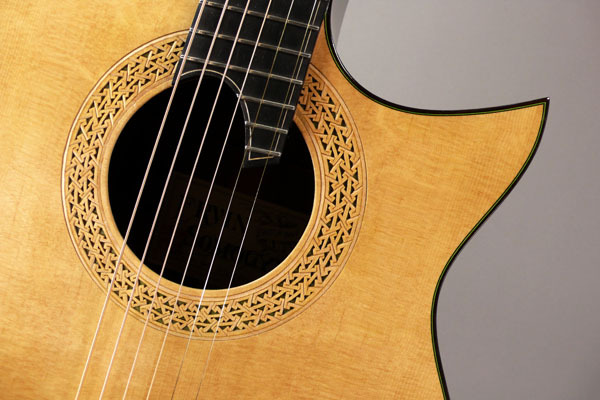 For many players, cutaways are appreciated as much for their aesthetic appeal as for their function. There are two main types of cutaways: Venetian and Florentine. A Venetian cutaway is round and smooth. A Florentine cutaway is sharp and pointy. Of the two styles, the Venetian cutaway is more common, probably because the Florentine cutaway is more complex and labor-intensive than the Venetian. Now, here’s something good. You don’t need to know anything about Italian history or geography because the terms Venetian and Florentine appear to have been coined by U.S. guitar makers in the first half of the 20th century. They do not reflect any historic instrument-making practices of either Venice or Florence. Instruments with only a lower cutaway, whether Venetian or Florentine are known as single cutaway. Here’s a picture of a Hollow Body Gibson L5 with a Venetian cutaway. Here’s a picture of a Hollow Body Gibson ES-175 with a Florentine cutaway. Many instruments have an upper cutaway and a lower cutaway usually about the same size, guitars with both are called double cutaway. Double cutaways allow the thumb as well as the fingers to move past the neck-body join. Double cutaway are mainly seen on electric guitars, as the reduction in body size resulting from a double cutaway would be detrimental to the sound quality of an acoustic guitar. Here’s a picture of a Hollow Body Gibson ES-335 with double Venetian cutaways. Here’s a picture of a Hollow Body Gibson Barney Kessel with double Florentine cutaways. In some Gibson guitars, models with two cutaways are abbreviated with a DC after the name, such as in the Les Paul Standard DC. Since more single cut versions of these guitars are produced than the double cutaway versions, if the model name of these guitars is not followed by DC, the assumed reference is to the single cutaway models. Here’s a picture of a Solid Body Gibson Les Paul Standard DC with double Venetian cutaways. Here’s a picture of a Solid Body Gibson Les Paul SG Custom with double Florentine cutaways. Let’s end this blog with something different. 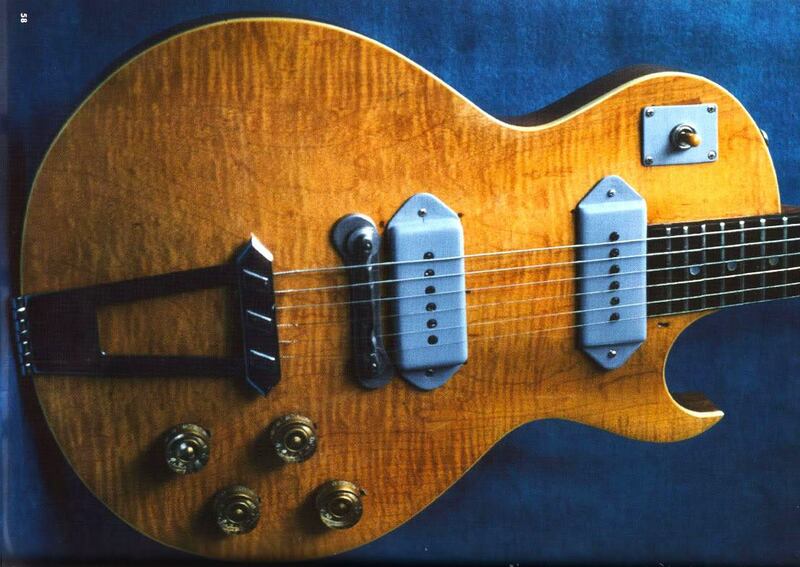 Here’s a picture of a scarce and rare 1951 Solid Body Gibson Les Paul prototype with a single Florentine cutaway . ’til next time, have some Venetian and Florentine cutaway fun… I’ll be listening! You are currently browsing the 12tonemusic blog archives for March, 2015.